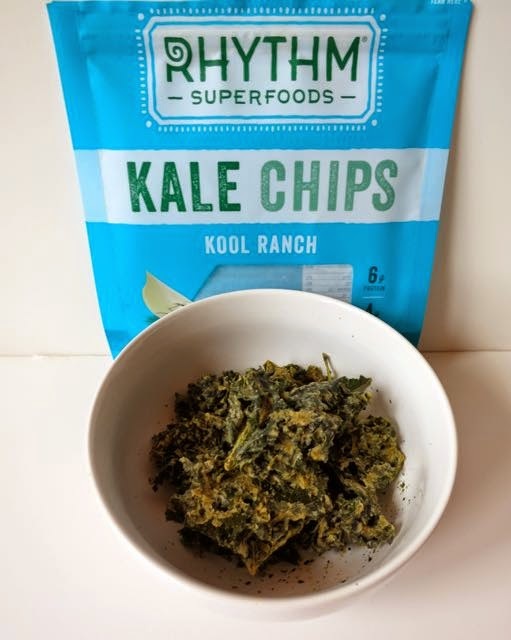 I've tried a lot of kale chips in my life, but somehow never got my hands on the Rhythm Superfoods ones until now. 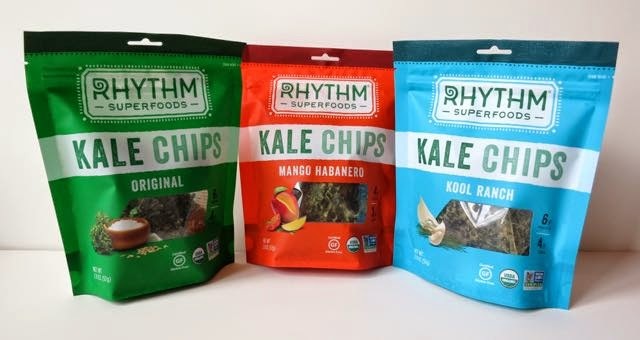 Rhythm Superfoods kale chips were conceived in the kitchen of The Daily Juice, a little juice bar in Austin, Texas. Their products were so popular, they took them to the shelves and the rest is history. 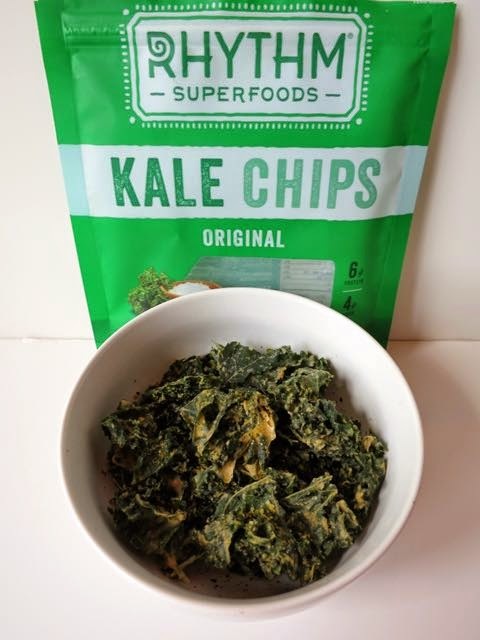 What makes a delicious kale chip? Crunch and flavor. Kale chips are usually made from dehydrating kale at under 118-degrees. These are no different. They say that their chips are air-crisped under low heat to maintain their natural enzymes and maximize their raw nutritional potency. The art really lies in coating them with lots of flavor then dehydrating them until they are crunchy and crisp. I must say that Rhythm does both of these things well. They sent me three flavors of their kale chips to try. My favorite was the Kool Ranch. Somehow they hand-crafted a dressing made with sunflower seeds, tahini, carrots, cane sugar, apple cider vinegar, onions, sea salt, lemon juice, dill weed, garlic, and white pepper that tastes very ranch-y. They are super crisp with the crunch you are looking for in a fantastic snack. I loved the Original too as it had less seasoning, but still a great crunch. Lastly, I tried the Mango Habanero. Mango with kale? Who would've thunk it? Mango and kale actually works though I tasted very little hot habanero spice. If you are going to call a chip "mango habanero" flavor, it better have a habanero kick! I love that all of their kale chips are certified organic, certified gluten-free, and Non-GMO Project Verified. Clearly they care about using high-quality ingredients. 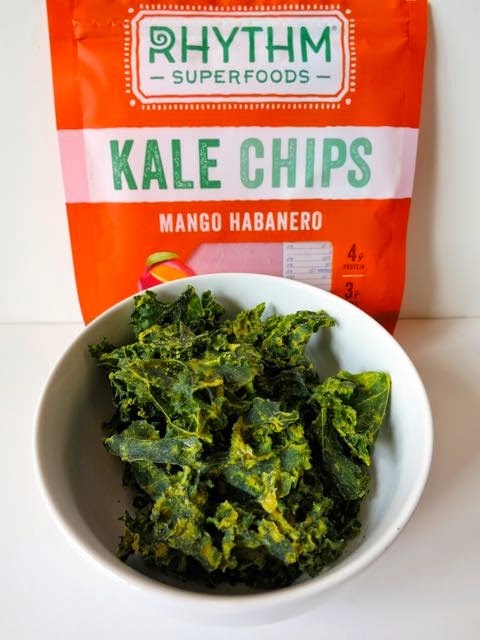 And what better way to get your vitamins A and K than from healthy kale chips?! To try some on your own, you can find them at Yes! Organic Market in DC or on Amazon here .